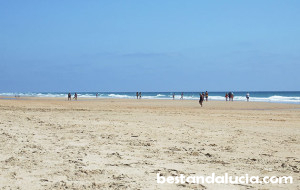 La Fontanilla – very close to the centre, very long beach, very popular among families, with some good beach bars and restaurants, well equipped with beach facilities (sun loungers, toilets, showers changing rooms etc.). 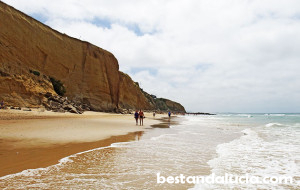 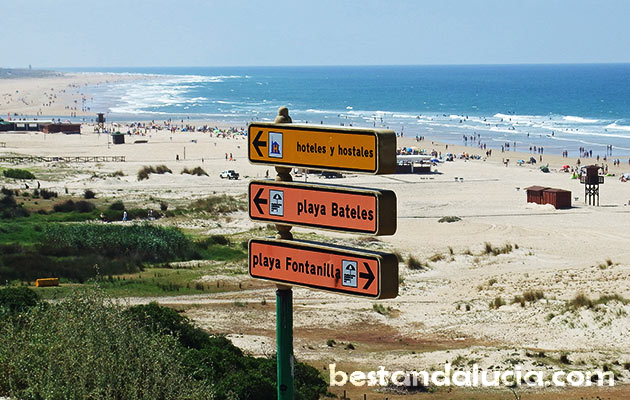 Los Bateles beach – another popular beach, beautifully located where the Río Salado flows into the sea, loved by the locals, especially families with kids, abounds in bars and restaurants, lots of waterfront accommodation available. 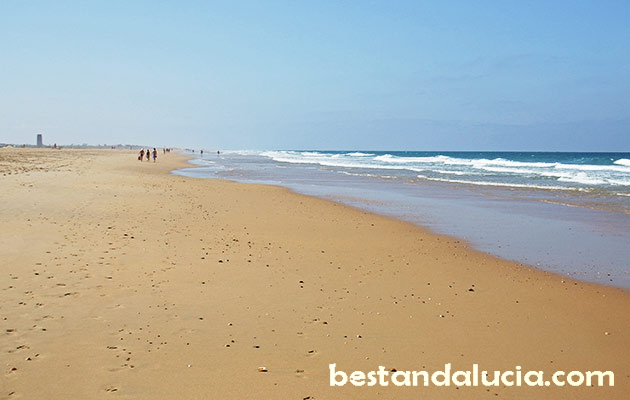 Roche beach – very clean, about 5 kms from the centre, northern-most beach in Conil, probably least-crowded beach, plenty of parking place in different parts of the beach, large waves make it also a great surfing beach, only a few bars close to the beach. 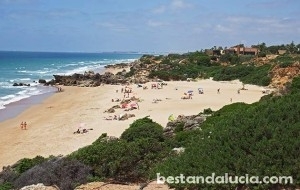 Castilnovo beach – 2 kilometre long most southern rural beach, only a few people come here, no direct parking space so can be difficult to access, great for kitesurfers and windsurfers alike. 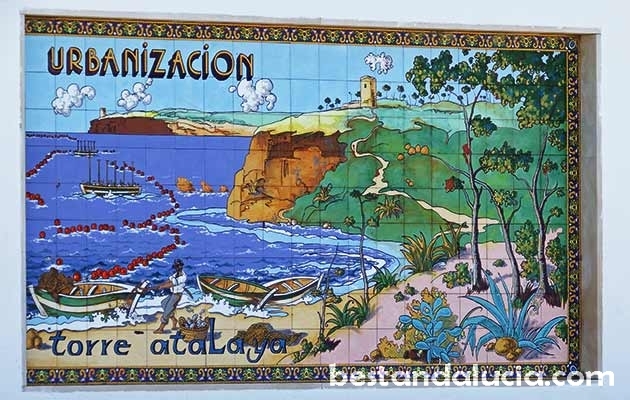 PARKINH HINT: park the car on C/Boqueron and cross the bridge to access the beach quickly. 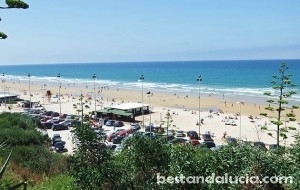 Castilnovo beach borders with El Palmar beach which belongs to Vejer the la Frontera. 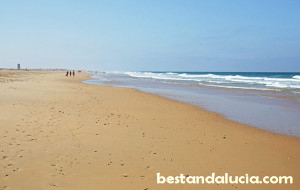 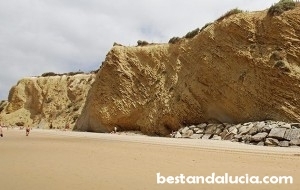 Fuente del Gallo beach – located in northern parts of Conil, because of the strong winds recommended to windsurfers and surfers, no infrastructure. 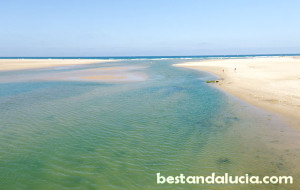 At high tide the Atlantic covers almost the whole beach, which you may enjoy or you may not. Great views from the cliffs that surround the beach and greta sunsets! 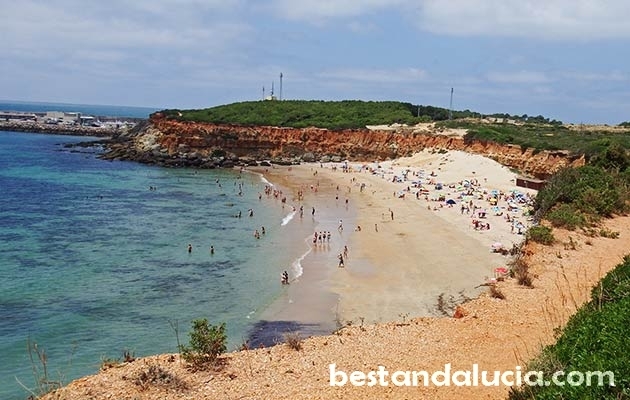 Cala de Aceite – peaceful small beach near the Conil fishing port, located in a spectacular spot with cliff stairs leading down to the beach, probably the most beautiful beach in Conil, popular among nudists, no infrastructure. The northern stretch of coastline from Fuente del Gallo beach to Roche beach abounds in small naturist bays and coves. Cala de Aceite is the biggest and most spectacular of them all.